Prehistoric creatures have long been extinct, but this will not cause any difficulties to those who want to find a friend - the dinosaur spirit. How is this possible? Everything is possible with the magic of this section. We offer to purchase stones that will make the world of dinosaur spirits more accessible for everyone. 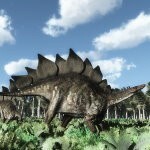 Using the products of our store, you will have the opportunity to choose any dinosaur spirit you want. However, in this case, do not blindly follow your wishes when choosing, you need to consider a number of the following factors: the kind of magic that you are more disposed to, your lifestyle, as well as your habits, personal traits and your preferred way of spending free time. Taking into account all these parameters, you can choose the most suitable spirit, which will later become your faithful ally and friend. Also, keep in mind the fact that it will take some time to get used to the spirit presence in your life, but after a period of adaptation, your connection with it will only get stronger, and the interaction will be much better. 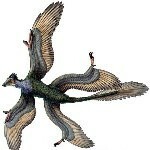 This is for a Microraptor dinosaur Spirit Stone chosen especially for you. 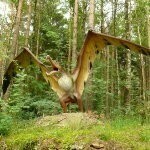 This is for a Pterodactyl dinosaur Spirit Stone chosen especially for you. This is for a Stegosaurus dinosaur Spirit Stone chosen especially for you.